(Silver Spring, Md. )- Nik Wallenda, King of the Highwire and seventh generation descendent of the legendary Wallenda Family acrobatic troupe, is on a mission to bring his death-defying skills to a 21st century audience. On the heels of his latest unprecedented stunt - an attempt at a tightrope walk over Niagara Falls on June 15 - SCIENCE will premiere an all-new six part series, DANGER BY DESIGN, which documents Nik and his family as they create spectacular acts that cheat death through science, skill and discipline. DANGER BY DESIGN premieres on SCIENCE on Monday, June 18 at 9PM ET/PT, with six new episodes airing on Mondays this summer. 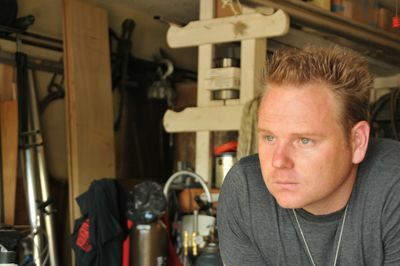 DANGER BY DESIGN delves into the family affair that is the business of the famous Wallenda family. The success of any of Nik's acts - and, indeed, his very life - is dependent upon meticulous preparations to withstand the elements, conducted with a crew that includes his chief engineer (his uncle Mike), and his safety coordinator (his father Terry). From wind speed analysis to engineering explosives, Nik carries on his family's legacy, pushing the limits of science further than ever before. For Nik and his family, even in the toughest of circumstances, the show must go on. "People ask me all the time - why do you do this? Why do you risk your life?" said Nik Wallenda. "My family has been doing this for seven generations. I was born doing it; it's really all I know. It's in my blood, it's who I am and I can't imagine doing anything else." "DANGER BY DESIGN is a great example of how mind-blowing science and engineering can be found in the most unexpected places. 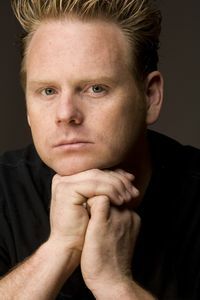 The series profiles the Great Wallenda family, a fascinating slice of Americana that has roots dating back to the late 1700s," said Debbie Adler Myers, general manager and executive vice president for SCIENCE. "SCIENCE is excited to bring our viewers some insight into the passion, skills, ingenuity and science behind the thrills, that has driven the Wallendas to world-renowned fame." Nik and his wife Erendira showcase their talents as a couple and test the skills of their engineering team with an astonishing sway pole act in their hometown of Sarasota, FL. 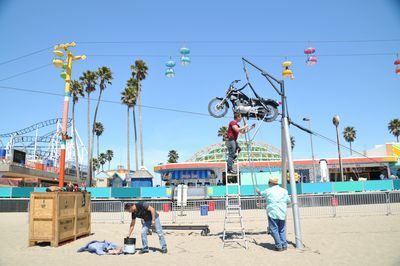 Later in Santa Cruz, CA, Nik plans to ride a motorcycle atop a wire while his wife does a trapeze act below the bike. The team must re-engineer the motorcycle to execute a 360-degree revolution around the wire with Nik and Erendira aboard. 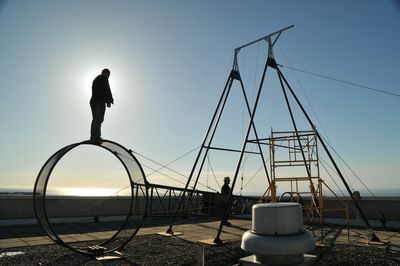 Nik and his team visit Atlantic City, NJ for a high wire walk. Afterward, Nick is invited back for a breathtaking performance on a rotating apparatus known as The Wheel of Death. The feat is to be executed 28 stories above the ground, creating a host of scientific challenges and logistical concerns for the safety of both the delicate equipment, and Nik himself. Nik relies on science and razor sharp nerve when he tries to cheat death by climbing inside a box filled with dynamite. Also, Nik wants to re-create the high wire walk that killed his great-grandfather in San Juan Puerto Rico. Nik's team must reverse-engineer the conditions of the deadly stunt to determine what caused the family's patriarch to perish. 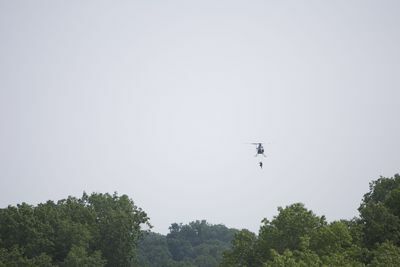 The team must engineer Nik's first fire-related stunt, which has him zip-lining across a water park while ablaze, and landing in a shallow pool. Also, Nik returns to Santa Cruz where he will attempt to defy the laws of gravity and walk atop a moving Ferris Wheel for the first time in his career. 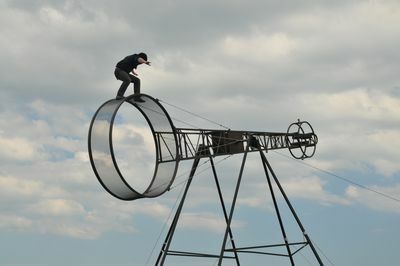 Nik brings his unique talents to Branson, Missouri, where he and his family will perform a three-person high-wire pyramid act. Later, Nik attempts a solo stunt that pushes the boundaries of science and engineering to the limit when he performs acrobatic feats on a trapeze hanging underneath a moving helicopter, finishing with him hanging by only his jaw. Prior to the premiere of DANGER BY DESIGN, Nik will walk approximately 1,550 feet on a tightrope wire, suspended 173 feet above the raging waters of Niagara Falls, from the U.S. to Canada - an unprecedented feat that has been banned for over 125 years. This spectacular feat will be broadcast live on ABC on Friday, June 15 starting at 8PM ET/PT. DANGER BY DESIGN is produced for SCIENCE by RelativityREAL/The Jay and Tony Show. Executive producers are Jay Blumenfield, Tony Marsh and Tom Forman from RelativityREAL. Winston Simone and David Simone are executive producers from DSW Entertainment. Josh Berkley is the executive producer for SCIENCE. Bernadette McDaid is vice president of production for SCIENCE, and Myers is general manager and executive vice president for SCIENCE. SCIENCE, a division of Discovery Communications, Inc. (Nasdaq: DISCA, DISCB, DISCK), is home for the thought provocateur, the individual who is unafraid to ask the killer questions of "how" and "why not." The network is a playground for those with audacious intellects and features programming willing to go beyond imagination to explore the unknown. Guided by curiosity, SCIENCE looks for innovation in mysterious new worlds as well as in its own backyard. SCIENCE and the SCIENCE HD simulcast reach more than 68 million U.S. households. The network also features high-traffic online and social media destinations, including ScienceChannel.com, facebook.com/Science Channel and twitter.com/Science Channel. Discovery Communications (Nasdaq: DISCA, DISCB, DISCK) is the world's #1 nonfiction media company reaching more than 1.5 billion cumulative subscribers in over 200 countries and territories. Discovery is dedicated to satisfying curiosity through more than 140 worldwide television networks, led by Discovery Channel, TLC, Animal Planet, Science and Investigation Discovery, as well as US joint venture networks OWN: Oprah Winfrey Network, The Hub and 3net, the first 24-hour 3D network. 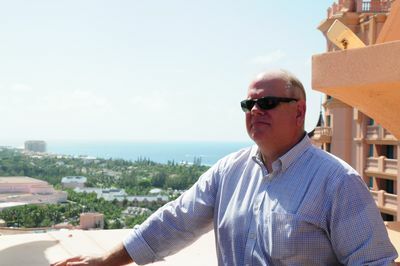 Discovery also is a leading provider of educational products and services to schools and owns and operates a diversified portfolio of digital media services, including HowStuffWorks.com. For more information, please visit www.discoverycommunications.com.